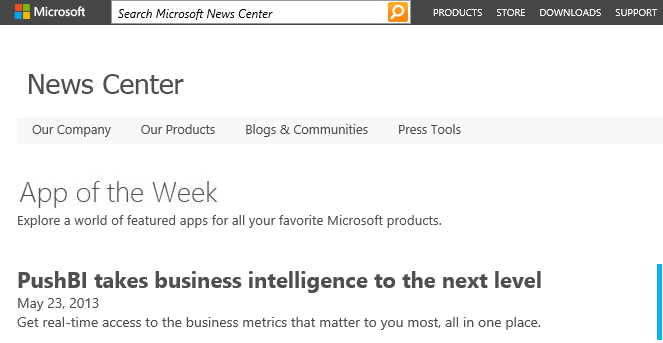 Just released from Microsoft, "Get real-time access to the business metrics that matter to you most, all in one place." Yep, that’s our PushBI – the app of the week! Read more from Microsoft’s News Center. Thanks Microsoft!